BRAZEN TSOTSI IS SHOT DEAD! 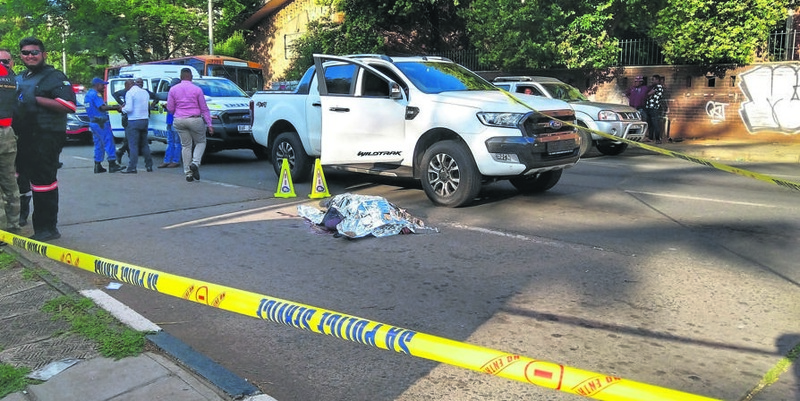 “They were then approached by three men who surrounded the white Ford Ranger bakkie. “The men tried to open the doors, but they were locked. The armed criminals got agitated and knocked on the driver’s window with a gun,” said Zondo. “The shot hijacker’s friends made a run for it and left him for dead. “He died on the spot. “The driver and his passenger were shaken but not harmed,” he said. Zondo said the bakkie was new and that could be the reason the hijackers targeted it. “We have opened a case of attempted hijacking and an inquest,” he said.